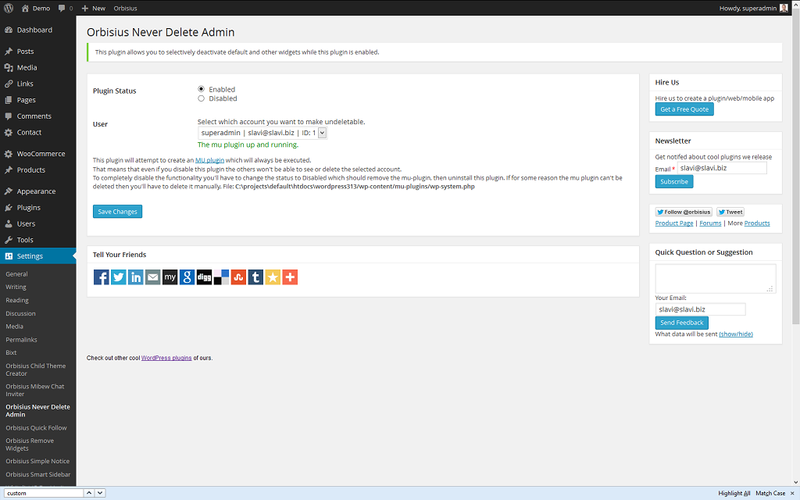 This plugin allows you to set a username that won't be displayed in the user list and couldn't be deleted. Why would you need that functionality? This plugin is intended to be used by developers and designers to prevent clients from (accidentally) editing/changing/deleting the system accounts. The plugin hides the Must use plugins tab in users. 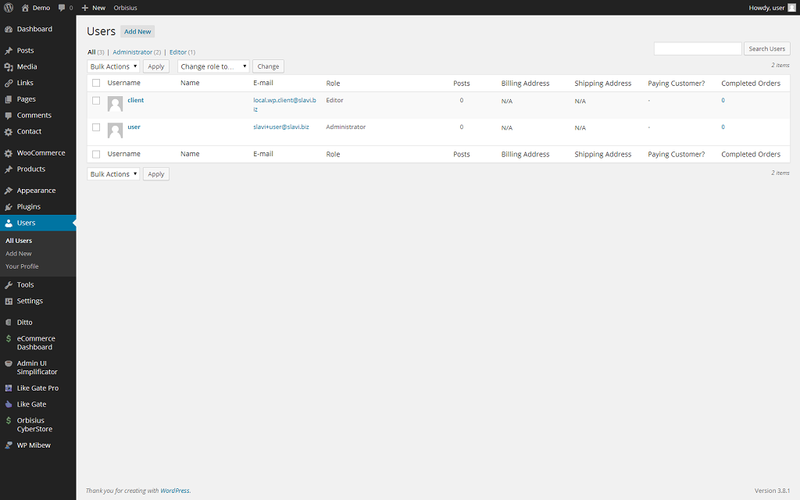 It also adjusts the user number in the Admin > Users to match the number of user rows.